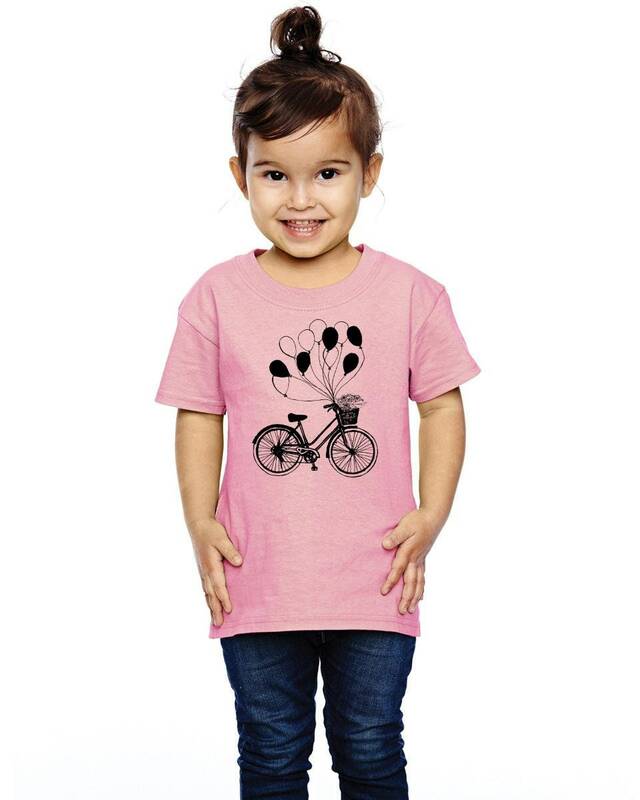 This t-shirt is hand printed with my drawing of a bicycle with a basket of flowers and balloons. This shirt is pictured in pink with black ink in the first photo. You may choose different shirt colors from the drop-down menu or different ink colors from the list below by writing the ink color in to the "message to seller" section during checkout.